Disbursements are costs related to your matter that are payable to third parties, such as Land Registry fees. We handle the payment of the disbursements on your behalf to ensure a smoother process). Our team has over 55 years of collective experience in delivering high quality work in all matters relating to residential conveyancing. The team has particular expertise in high value properties and multiple purchases. We have 7 members of the team who may work on your matter. Regardless of who works on your matter, they will be supervised by Manesha Stella Fernando, Senior Solicitor, Director and Head of Conveyancing, who has over 8 years of experience in dealing with residential conveyancing. However, we provide a much wider range of services to do with residential (and commercial) conveyancing. We are able to assist you if you are a first time investor or even a property investor, We can then give you independent advice in connection with surveys and valuations, mortgages, re-mortgages, deposits, transfers of equity (e.g. in divorce proceedings where the property is transferred from joint names into one of the parties’ name as part of the financial settlement), leasehold matters, estate agent and a number of other features about which you will need to know With vast experience of conveyancing, we offer a wide range of professional legal advice on buying and selling residential property. We also deal with re-mortgages, transfer of equity, plot sales, right to buy and buy to let. How long it will take from your offer being accepted until you can move in to your house will depend on a number of factors. The average process takes between 4-12 weeks. It can be quicker or slower, depending on the parties in the chain. For example, if you are a first-time buyer, purchasing a new build property with a mortgage in principle, it could take 4-16 weeks. However, if you are buying a leasehold property that requires an extension of the lease, this can take significantly longer, between 2 and 6 months. In such a situation additional charges could apply. 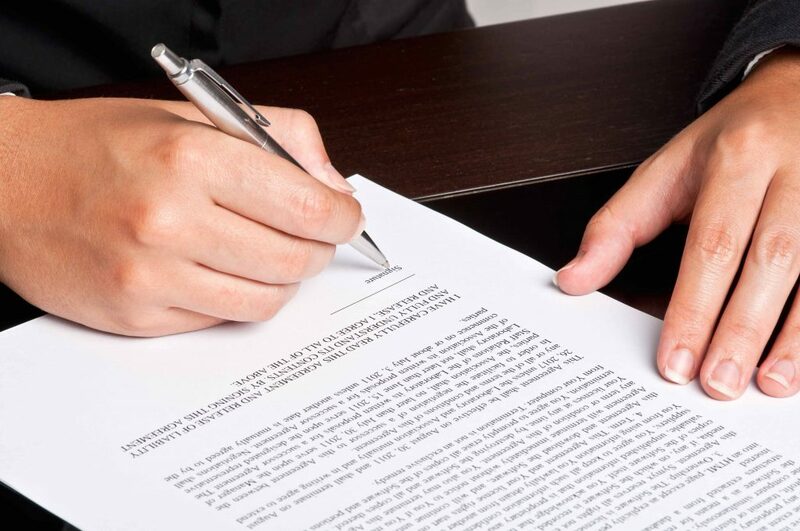 Our team has over 48 years of collective experience in delivering high quality work in all matters relating to probate. The team has particular expertise in high value estates and multiple benefactors. We are required by the SRA rules to provide price information regarding probate work in relation to uncontested cases where all the assets are in the UK. This includes both testate and intestate and taxable and non-taxable estates. However, we provide a much wider range of services to do with probate but we do not provide services to do with associated tax returns. ** Please note that the disbursements can vary and are dependent on various other matters such as the Local Newspaper publishing the advertisement and the amount of copies obtained. In addition, please note that any property transfer fees and disbursements will be additional to those listed above and will be charged in accordance with our property fees and disbursements. £104.52 Post in The London Gazette – Protects against unexpected claims from unknown creditors. On average, estates that fall within the small estate band are dealt with within 8-10 months, medium estates are dealt with usually within 12-14 months and larger estates are dealt with within 14-18 months. Typically, obtaining the grant of probate takes 4-6 weeks. Collecting assets then follows, which can take between 8-10 weeks. Once this has been done, we can distribute the assets, which normally takes 2-3 weeks. Our team has over 73 years of collective experience in delivering high quality work in all matters relating to motoring offences. The team has particular expertise in challenging the police and Crown Prosecution Service in evidence provision. We have 7 members of the team who may work on your matter. Regardless of who works on your matter, they will be supervised by Timothy John Spooner, a Senior Solicitor and our Crime Supervisor, who has over 30 years experience in dealing with motoring offences. We are required by the SRA to provide price information for assistance regarding summary only motoring offences under Part I of the Road Traffic Act 1988 and s89 of the Road Traffic Regulation Act 1984. We will discuss the outcome with you. (If advice is required on appeal, this will carry an additional cost). We are required by the SRA to provide price information for assistance regarding claims for unfair or wrongful dismissal at the Employment Tribunal. There will be an additional charge for attending a Tribunal Hearing of £750.00 per day (excluding VAT). Generally, we would allow 1-2 days depending on the complexity of your case. The time that it takes from taking your initial instructions to the final resolution of your matter depends largely on the stage at which your case is resolved. 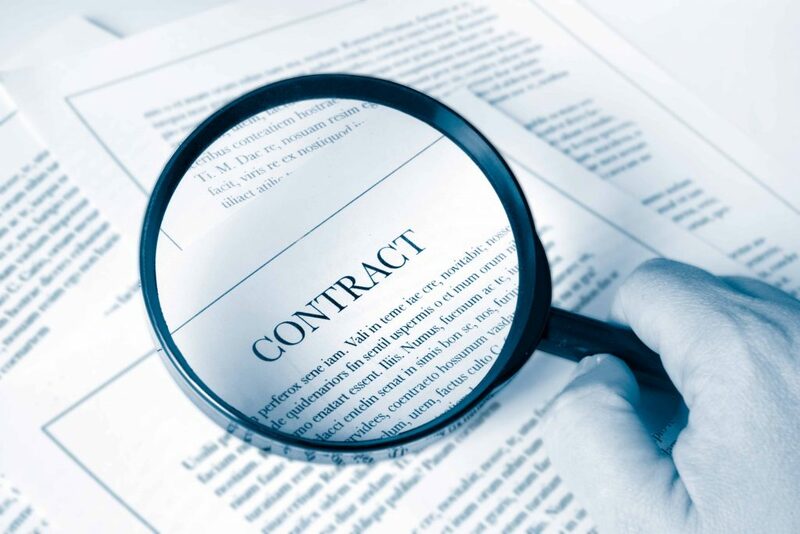 If a settlement is reached during pre-claim conciliation, your case is likely to take 18-24 weeks. If your claim proceeds to a Final Hearing, your case is likely to take 36 – 48 weeks. This is just an estimate and we will of course be able to give you a more accurate timescale once we have more information and as the matter progresses. Our team has over 79 years of collective experience in delivering high quality work in all matters relating to immigration. The team has particular expertise in complex, poorly evidenced, applications for leave to remain. However, we provide a much wider range of services to do with immigration such as, but not limited to, asylum applications, statelessness applications, human rights/private life applications, applications for Secretary of State immigration bail, reconsideration and legacy requests, judicial review, such as claims for unlawful detention, and immigration services to businesses (e.g. applications for certificates of sponsorship or confirmation of acceptance for studies), civil penalty notices, applying for a sponsorship licence, certificate of sponsorship, Tier 2, priority service, premium service, Tier 4 sponsorship licence, Tier 5 sponsorship licence, business visitors, investors and entrepreneurs, and landlords’ tenants immigration checks. (We will first look to signpost you to firms that may be able to manage your matter whilst drawing on public funds. We do not charge a fee to do this. You may instruct us either after having no joy with firms that may draw on public funds or you wish to use our services regardless). Our fees do not include for attending interviews with you or where the Home Office refuse your application, advice and assistance in relation to any appeal. We will quote you separately for this work if you wish to instruct us for this. How long will my application take to be decided by the Home Office? We cannot guarantee how long the Home Office will take to process your application. Read the current processing times on the Home Office website. Our team has over 48 years of collective experience in delivering high quality work in all matters relating to debt recovery. The team has particular expertise in all aspects of private and commercial civil litigation. We are required by the SRA to provide price information for assistance regarding debt recovery up to £100,000. Matters usually take 10 – 18 weeks from receipt of instructions from you to receipt of payment from the other side, depending on whether or not it is necessary to issue a claim. This is on the basis that the other side pays promptly on receipt of Judgement in default. If enforcement action is needed, the matter will take longer to resolve. We are required by the SRA to provide price information for assistance regarding defending claims for unfair or wrongful dismissal at the Employment Tribunal. We do not, currently, offer this service. Our team has over 47 years of collective experience in delivering high quality work in all matters relating to licensing. The team has particular expertise in applications for premises licences and representations against revocation of premises licences. We are required by the SRA to provide price information to businesses in relation to applying for a new premises licence or to vary a premises licence to allow those premises to be used for one or more licensable activities. This means that the rules are limited to two types of applications – applications for a premises licence under Section 17 of the Licensing Act 2003 and applications to vary a premises licence under Section 34 of the Licensing Act 2003. *These fees vary depending on the individual premises and where it is located. The fees can on occasion be higher than the ranges given above. We will give you an accurate figure for each item as soon as we are able to do so. Advising you as the type of plans you are required to submit with your application. Completing the application form for a new premises licence (including the operating schedule) in accordance with your instructions and submitting this to the local licensing authority alongside suitable plans. You must provide suitable plans. Providing guidance on the fee levels payable to the licensing authority. Preparing copies of the premises licence application for disclosure to the responsible authorities and serving copies of the application on the responsible authorities. Drafting the notices advertising the premises licence application and submitting the notice to the local newspaper. Arranging with you for you to display the notice(s) advertising the premises licence application and advising as to where and how this should be done by you in order to comply with the requirements of the Licensing Act 2003. Providing a Designated Premises Supervisor (DPS) consent form for signature by a personal licence holder proposed by yourself. attending pre-consultation meetings with the Licensing Authority or Responsible Authorities, nor their fee for this meeting. Matters usually take 12-16 weeks from receipt of full instructions from you. This is on the basis of the application being relatively straightforward and you being able to provide all the necessary documents promptly. If your matter is more complex, for example, if there is substantial opposition from interested parties, or if there is a delay in receiving the documents we need, it may take longer. Factors affecting complexity may include whether there is a cumulative impact policy in place, the type and size of the premises, or whether it is in a residential area. Jazdeep Bassi Solicitor 1,2,5,6, 20/03/16 c85 25% Varying complexity Low to Medium from Conveyancing to Debt Recovery. Eljona Rexhaj Paralegal 3 17/01/17 6 10% Varying from driving without proper licence to dangerous driving. An extremely positive experience. From the very start I felt confident that I was in good hands. Everything was explained to me in plain English with no legal jargon to confuse things. The fee structure was also very clear and the original fee quoted was the fee I paid. I always felt that my sale was top priority and I never had to chased for anything. I rarely had to wait more than an hour for a reply to my emails. A superb firm that stand out head and shoulders above other solicitors. They have real passion for using the power of the law on behalf of the clients and employ some world class lawyers. Brilliant service received from conveyancing team at MetroLaw. Very helpful, knowledgeable and efficient. Would highly recommend. Jas was great in assisting me with Property issues I have been experiencing. Great service and I can trust MetroLaw which was always my main concern when finding a lawyer. I used MetroLaw to help assist with my Will, very good advice, helpful and explained things thoroughly and made it so simple. So glad I managed to finally write up a Will. I had an accident which lead to a claim, MetroLaw was very helpful and made me feel comfortable all through the process, amazing legal advice. Excellent team of solicitors. Highly recommended. They seem to have a lot of experience in dealing with complex litigation cases. Will use again for other matters. The team were extremely helpful and managed my legal issue in the most effective way possible, which in turn enabled me to concentrate on continuing with my personal and work life with very little stress. Thankful for good service MetroLaw provided at the magistrates's court for assault on my ex. I had legal aid for free which good. I will refer friends and all them. Good service. Gave me a range of different ways to take the case forward. Negotiated a good deal with my workplace. Excellent service - very impressed. We would highly recommend Metro Law Solicitors to anyone for the fast, efficient and friendly service provided. Will be forever thankful to the solicitors at metro law. The level of service is excellent in my experience with them they went above and beyond. Would highly recommend! MetroLaw have been unbelievable helpful. They are very concise and professional and went above and beyond when dealing with my circumstances. I really appreciate the work they have done and really realiable. I will definetly recommend this to friends and families. I first went to MetroLaw Solicitors in 2011 with a very complex immigration case. This year I received leave to remain in the UK through the incredibly skilful, honest and hard work from MetroLaw. What I really like about them is they tell you straight whether they can do something or not. I asked them about my wife’s case, my brother’s case and other cases and they told me either to not change from other solicitors to them as it would cost me or to not do anything as I would waste my money. Through my friends and family I know about many solicitors and I know how they charge so much money and make promises that they do not keep. Mr Sood and Mala at MetroLaw never made any false promises, always saw me when I wanted to meet them, always took my calls and never charged me more than they quoted up front. They are honest people that I trust completely. I have been dealing with MetroLaw since 2011. I have always found that they know what to do and equally importantly what to not do for you. I have found always that they take client confidentiality very seriously. This is not something to take for granted. They accommodate me when it is convenient for me rather than expect to work with me when it is convenient only for them. Not only are they professional in what they do but they are very good at strategising the way forward. They seem to have an instinct to spot problems before these occur. You should give them a try to see for yourself. I would absolutely recommend Metrolaw Solicitors. I was kept updated regularly and was very involved in every step of the process. I was fully aware of everything going on behind the works, and this made dealing with my immigration matter easier. The immigration team really took the stress off me and made it as comfortable a process as possible. I am very grateful to the team at Metrolaw Solicitors for their hard work in dealing with my immigration matter, and I am very satisfied with the outcome. Very professional Team. Sumair Iqbal was very helpful and very friendly, kept me up-to-date when i purchased my very first property late 2017. Always a prompt response. Highly recommended and will definitely use them again. Thank you Metrolaw. We recently used Metro Law Solicitors for our home move conveyancing . Our case was assigned to Manesha Fernando, and she handled it very effectively throughout the process.She spent enormous amount of time on our matter, advised us on each and every step of the way & prepared all the necessary documents . Communication was absolutely ontime, without any delay & very clear also office appointments were very welcoming.Costs were very competitive and there was no compromise on service. I would recommend metrolaw too anyone as they dealt with my case and I was very happy with the result. Very nice to speak too and would use them again if needed. Great service! !...professional, efficient warm and welcoming service. Metrolaw Solicitors are an experienced and reliable team of solicitors. They are very professional, prompt and straight to the point. I had a positive experience and I would highly recommend them. I have dealt with Metrolaw Solicitors for many years now. They always answer my phone straightaway or call back immediately even out of office hours and on holidays. They will see me straightaway and if I have a big or small problem they will deal with this straightaway. Recently when I approached them with a problem by texting a few details to them before I could even send a follow up message asking when they would get time to deal with my matter, they messaged back saying they had dealt with everything and giving me details. I never have to chase them for updates as they keep me updated without being prompted to do so. The thing I like most about Metrolaw is that they treat you with complete respect and they never focus just on money. Their focus to is solve your problems and to keep a healthy relationship with you long-term. I am 35 and have been looked after by people at Metrolaw since I was 19.